Who Really Benefits From High Ketone Levels? When trawling recent "Keto forums" and reading people&apos;s experience with the diet, it&apos;s very noticeable that there is some sort of "ketone craze" happening. Meaning that generally healthy people who want to shed a few pounds, have more energy or improve their mental clarity are convinced that pushing their blood ketone levels to levels of 5 mmol/l or beyond would benefit them—or help them lose weight faster. The goal of this article is to look at the rationale behind elevated ketones (or not) and what to aim for in various different "health situations". There is no doubt that ketones can have a very powerful effect on our metabolism, particularly in the brain (1, 2, 3). This was discovered indirectly a long time ago: in 500 BC (or possibly even earlier), fasting and other dietary regimes were used to treat life-threatening conditions like for instance epilepsy (4). In 1921, the endocrinologist Rollin Woodyatt first mentioned the term "ketones" that were produced in times of starvation, fasting or carbohydrate restriction. In the same year, a Mayo Clinic physician, Dr Russel Wilder, defined a dietary therapy that drastically reduced carbohydrates and replaced most of the calories by fat. He hoped that this so-called "ketogenic diet" would provide the benefits of fasting without restricting calories so drastically, making it more sustainable in the long term. Ketones are a by-product of fat metabolism in the body: when glucose drops through carbohydrate restriction or fasting, for instance, insulin production will also decrease. These form the ideal conditions for the liver to start producing ketone bodies. This happens—more or less quickly depending on the individual—once beta-oxidation of fatty acids has increased to a point where fatty acids can&apos;t be utilized directly for adenosine triphosphate (ATP) production. ATP is the "energy currency" of the cell and is found in all forms of life: Without ATP, there is no life! Why does ketone production actually happen, you might ask? The main reason is to provide the brain with an alternative fuel when glucose is scarce. Ketone bodies, which are water-soluble and can cross the blood brain barrier (5), can supply the brain with up to 70% of total energy required. But most other body tissues can utilize ketone bodies in a very efficient, and in some tissues even preferential, way (5). So, in short: If humans weren&apos;t able to burn fat and at some point also ketones as a by-product of fat oxidation, we probably wouldn&apos;t be here any more. Tapping into our glycogen stores—yielding approximately 2,000 Kcal—wouldn&apos;t get us very far if we couldn&apos;t access the 40,000+ Kcal (in many people this is a lot more!) stored as fat. How Are the Different Ketone Bodies Related? Currently, the "gold standard" in testing is undoubtedly β-hydroxybutyrate in the blood (6), while acetoacetate in urine can be a useful tool in the first few weeks of following a carbohydrate-restricted diet. It indicates that you are producing ketones, but it doesn&apos;t tell you anything about whether you&apos;re actually using them. In most people acetoacetate in urine is not detectable any more after adapting to a lower carb, higher fat diet. This is for very good reasons: The body is undergoing a range of metabolic adaptations in the first few days and weeks of changing the diet. Muscle cells initially oxidize both β-hydroxybutyrate and acetoacetate. However, after some weeks, they start reducing the acetoacetate to β-hydroxybutyrate and return it back into circulation (7). If somebody is still measuring large amounts of acetoacetate in their urine after a good while on a properly implemented low carb diet, this needs to be looked at and analyzed. Acetone, which can be measured in the breath, indicates metabolic usage of ketones. In other words, the level of acetone tells us whether ketones went into the energy production cycle to generate ATP. Contrary to popular belief, acetone and β-hydroxybutyrate very rarely correlate (meaning: if one is high, the other one is high, too). One tool to measure acetone in the breath is for instance the Ketonix. In my clinical experience, I&apos;ve made some observations and have discussed the topic of correlation of different ketone bodies at length with colleagues. Especially when it comes to long term keto adaptation, when dramatic metabolic changes can happen. But let&apos;s leave this for a future post to avoid getting distracted! It&apos;s certainly very positive that more and more mainstream media have started reporting on fats and how they&apos;ve been demonized wrongly for the past 40 years or so. But contrary to what some people think, the "battle of carbs versus fats" will probably never have a clear winner. Various factors determine whether somebody will lose weight more effortlessly on a LCHF or HCLF approach. One thing I observe in clinical practice - and also by reading forum posts on the internet - is that people read the headlines of a magazine article and simplify the message without digging deep into the research. Which is totally understandable—who has time for this! Instead of realizing that a higher healthy fat approach most likely only leads to healthful results if carbohydrates are (drastically) reduced at the same time, they start adding dollops of butter to their coffee and pouring copious amounts of olive oil over every meal. On top of eating their pasta, bread and fruit. And then wonder why the pounds are not falling off. In some cases, they even pile up. 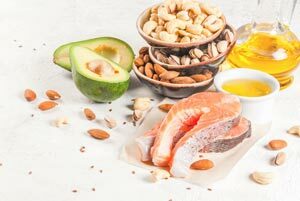 What many people seem to be most confused by is that it might not be enough to simply "eat more healthy fat" and then watch the pounds shed. It can happen in some people, but they&apos;re a minority. I&apos;m not a proponent of the simplified, so-called "calorie in—calorie out model" that suggests we should just eat the amount of calories that we actually burn to maintain weight. 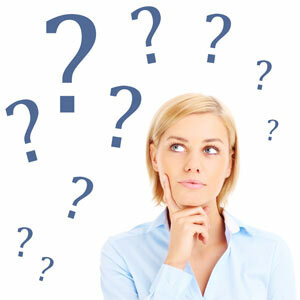 Hormonal triggers and other factors make this a much more complex and nuanced matter. But calories do still matter, especially in the mid to long term. Some people certainly get away with a high fat, high calorie diet—at least in the short term. My guess is that these are mostly young, metabolically healthy individuals. In the same way, some people are convinced that higher ketone levels will lead to more fat loss. While there are studies demonstrating this for the short term of a few weeks, my clinical experience shows that this is certainly not always the case (8). 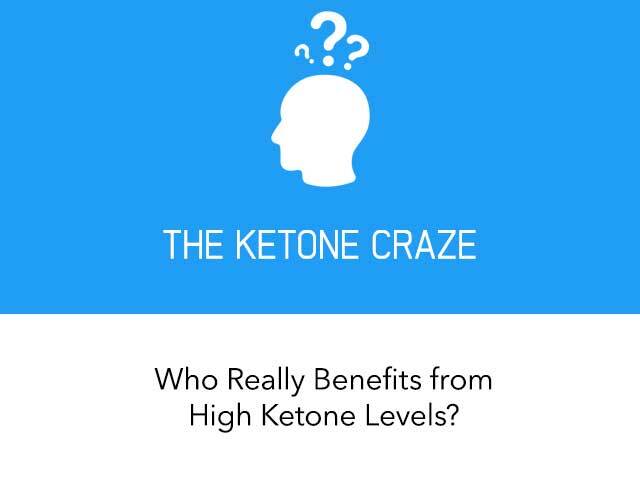 If you&apos;re planning to use—or you&apos;re already using—a low carb lifestyle to feel better, have more energy and possibly shape up a bit, I don&apos;t see a valid reason why you&apos;d want ketones to reach incredibly high levels. Or why you&apos;d have to measure them on a regular basis. There are always exceptions, of course, and if you have any medical conditions or concerns, it&apos;s certainly a good idea to monitor very closely what&apos;s going on in your body. Lipolysis is the breakdown of (stored) fats to release fatty acids and glycerol. It is, for obvious reasons, a very important step in fat loss. There is evidence that high ketones—and this probably also true for exogenous ketones in the form of supplements—may inhibit lipolysis (9). This is another reason why focusing on avoiding insulin spikes (remember - insulin is a very potent inhibitor of lipolysis) rather than obsessing with high ketone levels might be a more successful strategy if your goal is to shed a few—or a lot of—pounds. Don&apos;t get me wrong—producing ketones means you&apos;re oxidising fat in the absence of significant carbs or excess protein, so it&apos;s a certainly an indicator that the right processes are in place to lose fat. Many people find that a low to moderate level of ketosis can help regulate their appetite, make them more focused and give them more energy. These are likely to be very important aspects for improving vitality but also for achieving and maintaining weight loss. As explained earlier, calories certainly still matter when using a low carb approach for health and a trim body. You basically have two choices: Getting the body to use dietary fat from your plate or "forcing" it to break down stored fat via lipolysis. If you happen to eat all the fat you&apos;re oxidizing (i.e. using for energy production), then obviously fat loss won&apos;t be happening to the extent you might be wishing for. Over time, another interesting phenomenon can be observed: Your number of monocarboxylic acid transporters (MCTs, not to be confused with "medium-chain triglycerides", also called MCT!) increases (10). MCTs facilitate the uptake of ketone bodies into your tissues, thereby lowering ketones in your blood. In other words—lower β-hydroxybutyrate in the blood might be an indication that you&apos;ve become a more efficient fat burner. This is another reason why aiming for high ketones in the blood is unlikely to lead to better results - you&apos;d have to eat copious amounts of fat to get them back up to a higher level. The result? Weight gain, in most cases. disease resulting from hypoxia: e.g. following a stroke. 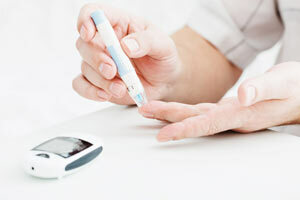 "Blood ketones between 2 and 5 mmol/l (once full diet is established) are usually required but vary individually. It is advisable to avoid ketones consistently higher than 5 mmols/l to avoid symptoms of hyperketosis (lethargy, fatigue, irritability, facial flushing, vomiting and panting)." You will notice that the "appropriate" level of ketosis might be even more conservative than in the table depicted above. 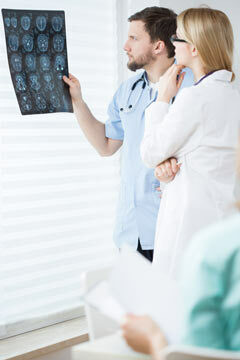 The recommendation is to monitor levels above 5 mmol/l and associated symptoms very closely for epileptic patients. Interestingly, studies using the so-called Medium Chain Triglyceride Ketogenic diet show equally beneficial effects to a very strict 4:1 ratio. This is a very rigorous approach to ketosis where fat is usually around 90% of total energy intake, whereas the MCT ketogenic diet contains "only" about 70% fat. A 4:1 ratio can be very difficult to sustain in the mid to long term without running into trouble (e.g. 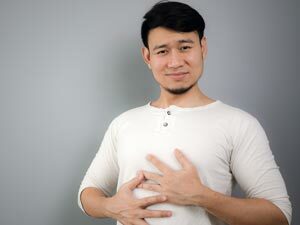 nutrient deficiencies, gut issues or also boredom with food choices). It&apos;s reassuring and encouraging to see that more "moderate" approaches where carbohydrate and protein intake are significantly higher can achieve very similar clinical outcomes (11). For cancer patients, the evidence remains pre-clinical but compelling as to whether a ketogenic diet as an adjunct to conventional cancer treatment is effective (12, 13). 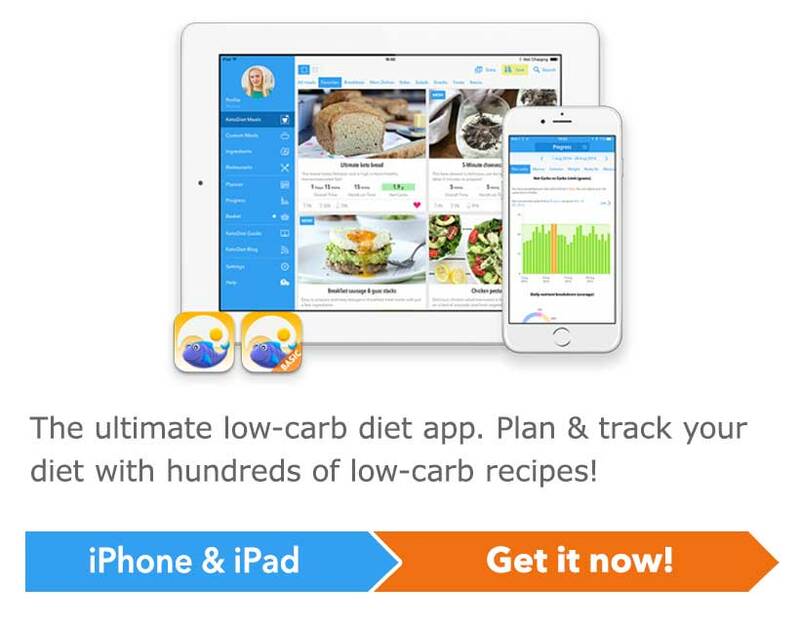 For on-going clinical trials into the ketogenic diet for cancer, you can check out the website Clinicaltrials.gov. Thomas Seyfried and his team ([14) developed the so-called "Glucose/Ketone index" to monitor cancer patients. By dividing glucose measurements (in mmol/l) and ketone measurements (also in mmol/l), an index can be calculated. As an example: If your glucose is at 5 mmol/l and your ketones measure 2.5 mmol/l, you have achieved a ratio (GKI) of 2. Thomas Seyfried states that "the zone of metabolic management is likely entered with GKI values between 1 and 2 for humans. Optimal management is predicated for values approaching 1.0". This is incredibly challenging to achieve, especially in the long term, and many factors apart from food can influence this number. Stress, age, medication (especially steroid hormones that raise your blood glucose), surgery, cancer treatment, hormones and lack of sleep are of particular importance. And for cancer patients, these are all very real concerns. If somebody is getting very stressed out "chasing" this optimal range, it&apos;s important to take a step back. It&apos;s valuable for tracking trends but shouldn&apos;t discourage patients. GLUT1 deficiency, a rare genetic disorder that interferes with brain metabolism. Because there is a lack of one of the proteins (GLUT1) responsible to transfer glucose from the blood into the brain, an alternative fuel source in the form of ketones can bring relief for the patients (17). Overall health and body composition in endurance athletes (18). It is still debatable whether athletes benefit from ketones or a low carb approach when it comes to performance - it probably very much depends on the individual. What emerging research has been showing, though, is that general wellbeing can be improved. Simply put, if you&apos;re using a low carb approach to be slim, trim and feel well, there is no need to measure your ketones several times a day and try to push them as high as possible. In the short term, you might be able to increase ketones with more fat in your diet, but this will likely lead to metabolic issues or even weight gain in the future: If your fat intake is higher than necessary, you&apos;ll be far less likely to tap into your own energy stores. 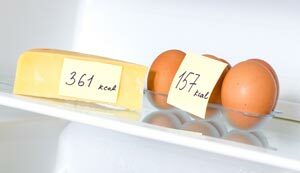 The best fat loss will probably be from eating a nutrient dense diet while keeping your carbohydrates low, your protein at very adequate levels BUT achieving a caloric deficit from watching your fat intake. Ketogenic diets for epilepsy or other medical conditions are not necessarily supposed to lead to weight loss, but the goal is to elevate ketones. This is why fat intake is kept high. Patricia is a fully qualified Nutritional Therapist (BA Hons, dipNT, mBANT, mNTOI). 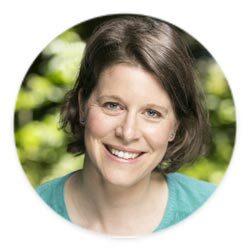 She is an experienced nutritional therapist and author, specialising in cancer care and the ketogenic diet in particular. In the past few years, she has worked with hundreds of cancer patients in Ireland and abroad, lectures at the Irish Institute of Nutrition and Health and is a well-regarded speaker at conferences and in cancer centres. This article was written by Patricia Daly, BA Hons, dipNT, mBANT, mNTOI who is a qualified expert. At KetoDiet we work with a team of health professionals to ensure accurate and up-to-date information. You can find out more on the About us page. Thanks Martina for this amazing resource and for everyone that contributes. Hi, and thank you for the great article. I have been living a ketogenic lifestyle for just over a year now. I go through phases of logging my food intake as well as measuring ketone levels (with blood analysis). I also do this with intermittent fasting when time permit - which is most of the time generally. My question, if you might have time to respond, is with regard to ketone levels in the mornings. Typically when I measure in the morning the level will be around 0.3-0.5 nmol/L. .... At that time I will have been 'fasting' for around 12 hrs or so and will Generally consume something at about 14-15hrs. When I measure ketones in the afternoon it is usually around 1.5nmol/L. Is the low ketone level in the morning to be expected? ... Although I sleep really well, I do sometimes wake up a little sluggish, or 'heavy'. If you have time to respond it would be very much appreciated, but I realise we are all busy with day-to-day lives of course. Thanks again for the great article. Alternatively, any references would be appreciated. Try googling “ Dawn effect” it’s very normal! 1. How much high ketone is to be condsidered inhibit lipolysis ? 2. How can high ketone inhibit lipolysis ? My father has early onset Dementia and was hospitalised last Monday as he was suddenly having seizures and absences. He is still in hospital and it looks like he started having epileptic seizures which seem to be almost controlled with medication. He is now unable to walk, feed himself, go to the toilet unassisted (in fact has a catheter and is wearing pull ups) and is unable to speak and form full sentences. Dad has Type 2 diabetes and high cholesterol and is hypoglycemic. It looks like Keto would be good for him, but I'm concerned about his high cholesterol? I have gone Keto before, and must get back to it (I've been emo-eating! ), but I also have high cholesterol. Can you please let me know if the Keto diet is recommended for people with high cholesterol? I'm so sorry to hear about your dad and hope that you'll find the best possible care and support for him. It's not really possible to give tailored advice on this forum when it comes to cholesterol levels. It sounds like you might have a genetic predisposition that runs in your family. The best thing you can do is seek out a functional medicine practitioner that can have a high sensitivity test carried out. This measures and describes the type rather than just the amount of cholesterol. It's also possible that you're the carrier of e.g. ApoE gene, which would mean you have to pay particular attention to the fatty acid profile of your diet (usually you'd have to have lower intake of saturated fat). It's quite complex and as I said- best to seek professional guidance to make sure you thrive on a diet tailored to you. all i can say is, that the ketogenic diet was the key for me. i feel much more energetic and healthy then ever before in my life. Thank you for sharing. Thank Andreas- great to hear! Hi Pat great write up, do you have the correct link for the reference (8) you mentioned about? it goes to the home page www.ncbi.nlm.nih.gov/pubmed/ but not the actual study. Thanks for spotting that! My mistake, link was lost during editing but I fixed it now. 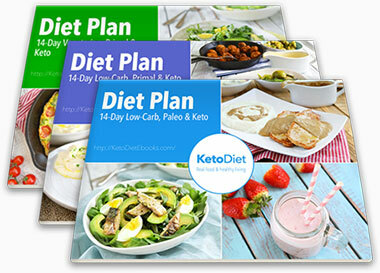 A very important explanation of the many benefits of keto diet! I am transitioning to a keto lifestyle because of a strong family history of cancer. Even though I have no symptoms yet, the knowledge that managing glucose availability through a keto diet can inhibit the growth of cancer cells, gives me and thousands more hope to avoid a health crisis. Thank you for bringing this information in a very readable article. I would like some information about the important role ketones play in cases of Traumatic brain injury. Thank you for the ketone information. I am also interested in the effects of ketones on people who have suffered a TBI. Thank you all so much for reading and your interest! TBI is a very interesting topic indeed and for the time being, I encourage you to check out Dominic D'Agostino's research at the University of South Florida. For a very up-to-date scoping review, you can go to this link www.ncbi.nlm.nih.gov/pubmed/29359959. Given the interest in this topic, we will consider writing a detailed blog post about this- thanks for your patience in the meantime! Do you think this is a good way of eating for Type 1 diabetics as well? Please consult a keto- knowledgable practitioner to guide you through this because you'll have to adjust your medication quite dramatically. As BobM points out, Dr Bernstein is a brilliant resource, and so is Ellen Davis's and Keith Runyan's book "The Ketogenic Diet for Type 1 Diabetes. One of the best articles on ketones I have read. A great amount of incredibly useful information about. Thank you for this helpful article. I have vestibular migraine. One of the ways I stay medication free is ketosis and electrolyte balancing through increased salt intake (balanced in a ratio with slightly less potassium) and magnesium supplementation. Most migraineurs probably don't need to stay at therapeutic levels, though when I can maintain that, I certainly do better. As an added benefit, my PCOS is better, too. I don't lose much or any weight, but I sure feel better and all of my blood markers for Metabolic Syndrome normalize. Even in the presence of 2x RDA for sodium, my blood pressure goes down and I have no edema, provided I'm careful about hydration. This is basically the Stanton Migraine Protocol. Thanks for that info Emily! I too have suffered from migraines for decades and have been keto for about 8 months now and have noticed fewer migraines overall as well. Never heard of the Stanton Migraine protocol but will check into it now. Well done Emily for finding her! Brilliant that you're doing so well. Thanks Susan, delighted to hear you liked it. High Cholesterol on a Keto Diet - Should You Be Concerned?